Finally, Hesperos, King of the Enchanted Forest, reveals the secret: everything that has happened that night has been a final test for Philomena. He was the little elfen boy she'd met so long ago, and now he has decided to reward her for her years of loyalty and faith by magically making her young again. He then proposes to her, wanting her to stay in the Enchanted Forest as his wife and queen. 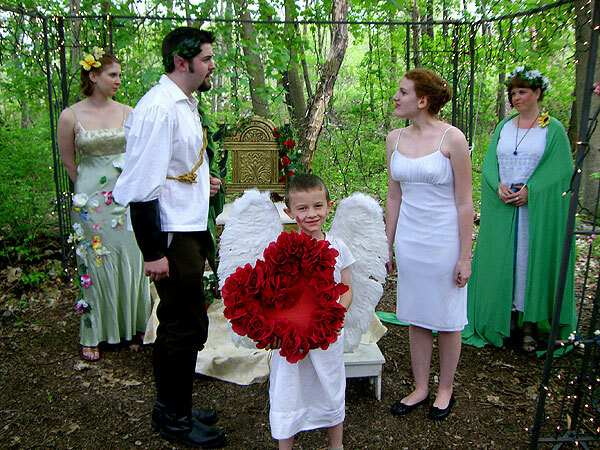 She accepts, and Celandine performs the cermony as Cupid and Mother Nature serve as witnesses.